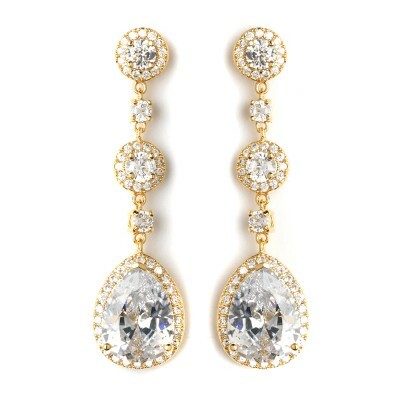 A beautifully bright and sparkly bridal earring Features an AAA-Grade Cubic Zirconia stone with a frame of smaller stones around the perimeter. 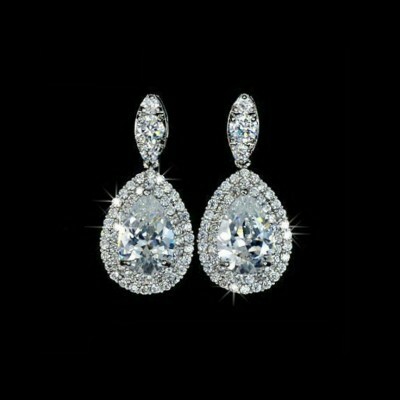 A timeless and classic design that will never go out of date Endlessly versatile and flattering to all face shapes .. 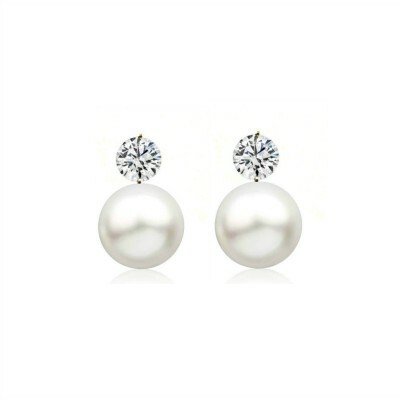 This is a super cute, high quality earring made out of Sterling Silver, Perfect for everyday wear (or your bridesmaids!) 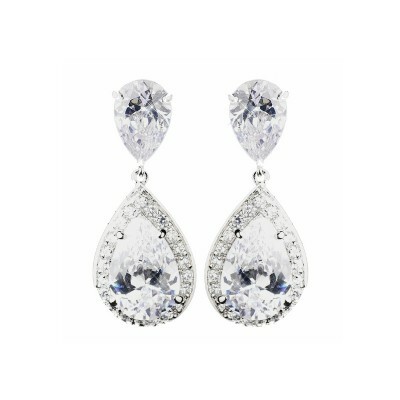 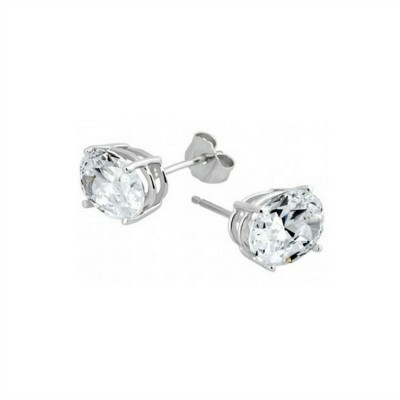 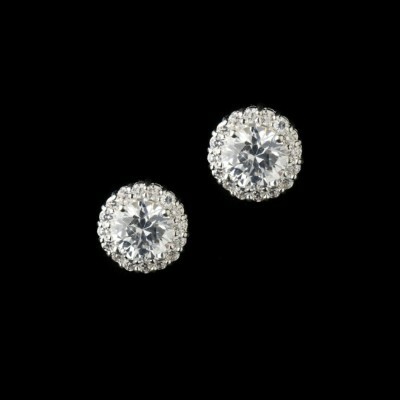 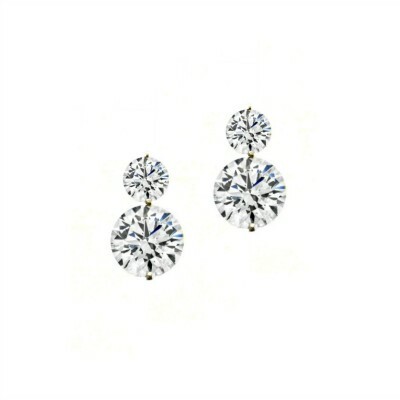 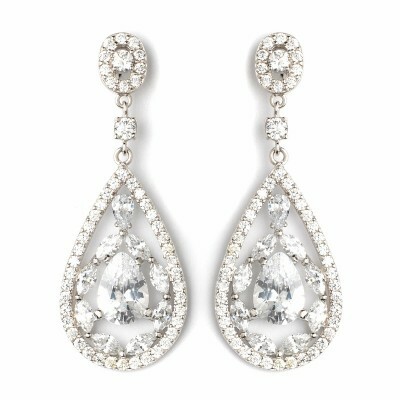 Timeless design with ultra-clear diamond-like cubic zirconia stones that really sparkle! 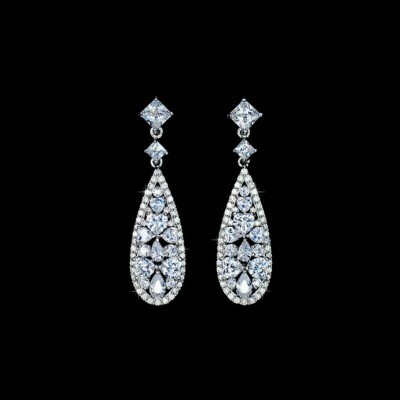 Exact matching necklace available Rhodium plated to resis..